Denier weirdness: Anthony Watts protests physics - ice doesn't melt in the heat? Get real! If we don't rein in carbon emissions, seas could rise by two metres by the end of this century, and won't stop rising there. Within three hundred years, sea levels could be more than four metres higher than they are today! Bye bye many coasts, towns and cities of the world. I wonder if Richard Tol and Bjorn Lomborg have worked out how much it will cost the world to move Mumbai (pop 17m), London (8.5m), New York (20m), most of Florida, half of Jakarta (26m) and so on. What causes seas to rise - in reality? What happens when there is a rise in greenhouse gases? Earth gets warmer. What do you think happens when it gets warmer? People who know about ice figure that more ice melts when it gets warmer. They will tell you more than that, if you listen politely and don't scoff about "reality". The ice experts will tell you that when ice melts it turns into liquid water. People who know about liquid water on land, like from melting mountain glaciers, will tell you that when there is lots of water it usually finds its way into the sea. People who know about ice sheets will tell you that as they get warmer their flow to the sea will often speed up. If the water hasn't already melted by then it soon will once it's in the sea. People who know about sea level will tell you that when there is more water in the sea, sea level rises. Projecting sea-level rise, however, comes with large uncertainties, since the physical processes causing the rise are complex. They include the expansion of ocean water as it warms, the melting of mountain glaciers and ice caps and of the two large ice sheets in Greenland and Antarctica, and the pumping of ground water for irrigation purposes. Different modeling approaches yield widely differing answers. The recently published IPCC report had to revise its projections upwards by about 60 percent compared to the previous report published in 2007, and other assessments of sea-level rise compiled by groups of scientists resulted in even higher projections. The observed sea-level rise as measured by satellites over the past two decades has exceeded earlier expectations. “It this therefore useful to know what the larger community of sea-level experts thinks, and we make this transparent to the public,” says lead author Benjamin Horton from the Institute of Marine and Coastal Sciences at Rutgers University in New Jersey. “We report the largest elicitation on future sea-level rise conducted from ninety objectively selected experts from 18 countries.” The experts were identified from peer-reviewed literature published since 2007 using the publication database ‘Web of Science’ of Thomson Reuters, an online scientific indexing service, to make sure they are all active researchers in this area. 90 international experts, all of whom published at least six peer-reviewed papers on the topic of sea-level during the past 5 years, provided their probabilistic assessment. The survey finds most experts expecting a higher rise than the latest IPCC projections of 28-98 centimeters by the year 2100. Two thirds (65%) of the respondents gave a higher value than the IPCC for the upper end of this range, confirming that IPCC reports tend to be conservative in their assessment. The experts were also asked for a “high-end” estimate below which they expect sea-level to stay with 95 percent certainty until the year 2100. This high-end value is relevant for coastal planning. For unmitigated emissions, half of the experts (51%) gave 1.5 meters or more and a quarter (27%) 2 meters or more. The high-end value in the year 2300 was given as 4.0 meters or higher by the majority of experts (58%). Anthony Watts protests. He reckons ice can't melt in the heat because it hasn't all melted yet. He puts up various charts of sea level rises and says: Look it hasn't happened yet so it's not going to happen, even if we burnt enough carbon to heat the world by six degrees! 3.2 mm/year * 87 years = 278.4mm or 0.2784meter…about a quarter of the 1 meter (or more) claim made by Rahmstorf. Rahmstorf isn’t working in reality. Anthony thinks that 90 of the world's leading specialists from 18 different countries are not "working in reality". He is also trying on the Serengeti tactic of ignoring 89 of the 90 experts and focusing in on one expert, Stefan Rahmstorf - with mild success as the comments show (the worst comments are not repeated below). Oh no, not more expert projections. How many times have these “experts” been correct? The linear fixation is based on either a belief in or a refutation of the linear effect of rising CO2 concentrations. That is the falicy that needs to be beaten down. All fall from that. Do we really know with any certainty that it will not stop at that date? It has to stop at some point. I guess the word “obviously” is meant to squelch that question. Is there a quantified breakdown into the magnitude of the different components that make up the predicted one meter rise. eg thermal expansion, melting glaciers, melting Greenland, melting Antarctic, what else? Which are the big contributors? It would then be interesting to look at the evolution of the history of each component so that necessary changes in rate can be pinned down and the underlying expected components more deeply examined as too root cause of change. It will be far more interesting than holding a poll. ...We’ve put a man on the moon. We’ve got a 30 year old space probe at the heliopause, at the edge of our solar system. We’ve got telescopes in space that can analyzer the atmospheres on planets hundreds of light years away. There is a nuclear powered partially autonomous robot tank trundling around another planet FGS. And they’re worrying about a 1m rise in sea level. What are we? Men or Mice? Our forebears colonised a hostile world, and some of us are losing sleep over the fact that in 3 centuries, the sea may be very slightly higher than it is now. ...Thanks Pete – very well put. Adapt or die…….our ancestors did. Why are we such timid creatures all of a sudden? I guess Pete Smith and Colin eschew silly things like fire extinguishers, seat belts and life jackets. The fact of the matter is that there aren’t 90 persons in the world who are truly expert on the complexities of sea-level variations. But that becomes immaterial when the myopic standard of recently published papers is used as the criterion of expertise. It flies in the self-indulgent, make-believe world of academia. Projecting out to the year 2100 has an extreme amount of uncertainty. Going to 2300 is totally absurd. The world will have run out of fossil fuels to burn centuries earlier. There will either be a new source(s) to replace it or humans will have long since run out cheap energy and the rapidly diminishing supplies cost multiple times what we pay now and only the rich can afford, the small amounts left. This should play out well before the end of this century. The “results for 2300″ and “expert survey” are a contradiction. 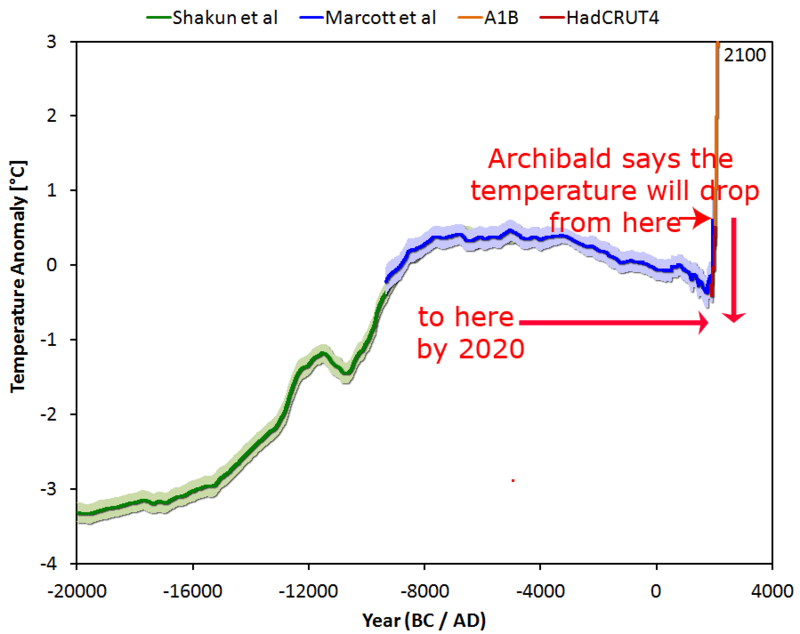 No authentic expert (knowledgeable of factors mentioned above) in this field would project to the year 2300. This is 200 years beyond outlandish. Why do they stop at the year 2300? If we go far enough into the future with their 1st-grader straight line reasoning, we will have global inundation. Is that what Noah, I mean NOAA wants? Common sense assessment: SLR, which has been rising at about 6″ per century for centuries will probably continue to do so, or even decline slightly due to expected cooling. Sea Level! And so, since there is nothing we could do about it, even were it true, and even were it due to activities of people ( which it is not) as opposed to naturally occuring events, and since China and India are not going to change their ways, WTF? Most of us do not live on the coast, in any event, and the costs of even trying to change it in terms of human suffering are probably greater than any potential benefits, assuming one could do anything about it. Forgetaboutit. 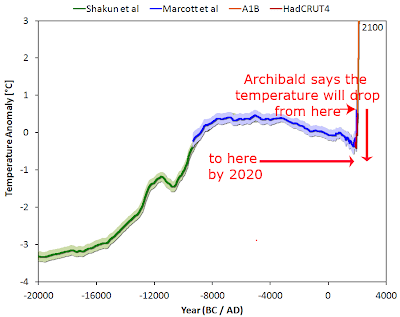 It makes no sense to worry about the sea level in 2300 before 2200 at the earliest; that will still be beyond the lifetime of anybody able to think rationally in 2200. The warmist alarmists use projections as scare tactics, like the result of what rising sea levels will be or could mean. They are like a lion roaring at you from a close distance, but when you look into the lion’s mouth, it has no teeth. Regardless, the lion’s roar will scare you, and some even into a panic mode. What if the whole idea that CO2 will heat the Earth up is WRONG? Oh we never thought of that because we know that isn’t true. What happens to ocean levels when the Earth cools? Uhhh …..
As much as I hope Dr Libby was wrong I’m thinking it will take another ice age to get rid of these ID10T types. The whole sea level rise bogey man is a bunch of B.S. There are hundreds of ports around the world with docking facilities, some of which have been in use for centuries. Who has ever heard of one of them being abandoned because of sea level rise? Sou:...any decent planner will make sure new ports are being built higher these days. November 22, 2013 at 12:01 pmHooray for rising sea levels. Few if any of the buildings currently in existence will still be in existence in 200 to 300 years. Long before the seas take these buildings, they will have fallen down on their own from old age. The simple solution is to let these buildings age away, and then not replace them when they do. A no cost solution to rising tides and cities. Thank god for WUWT and Mr. Watts, eh? It’s my “go to” source for information. Hey, I have a great idea! We have many scientists, engineers, and other experts posting here. Let’s take a poll of people’s estimates of sea level rise and get it published. It would be at least as valid as Rahmstorf et al’s paper, and most likely, more so. I recall reading somewhere that the last time the CO2 level was 400 ppm that sea level was around 20 meters higher than present. If that's true it may take a long time for it to be fully realized but there is no stopping it. Thanks. I posted that link over on the recent Real Climate post on what the experts expect. That prompted a reply with a link to a paper by Rohling & Foster that discussed the relationship between CO2 and sea level. From the paper it appears there is a plateau in SLR between 400 and 650 ppm of CO2 of around 20 meters. Is Matt Ridley a Crackpot?